Earn $8.49 in VIP credit (849 points)What's This? 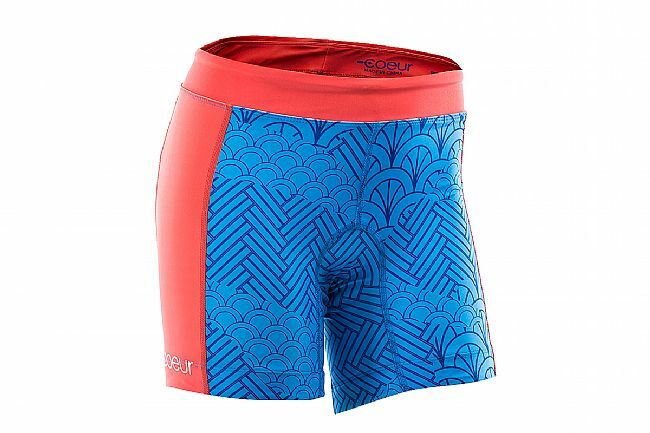 The Coeur Sports Serenity Tri Short will keep you riding in comfort while expressing your personal style loud and clear. 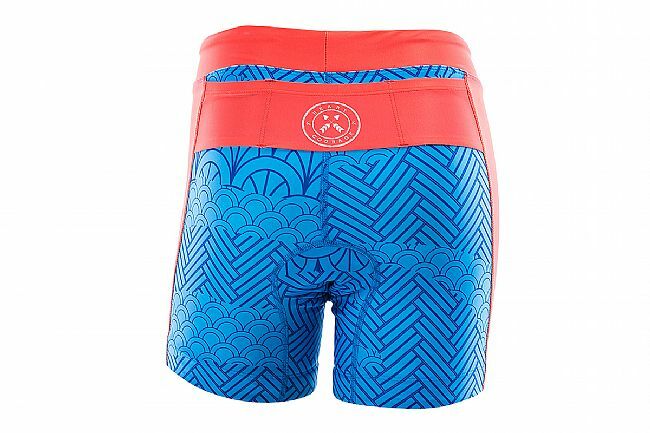 Stand out from the crowd with the unique patterns of these super-soft, chafe free shorts. The wide yoga-style waistband stabilizes the muscles of your lower back while also providing a secure fit, aided by the soft silicone grippers at the wider leg holes. Three shallow rear pockets provide storage for smaller items like gels or car keys. Made in downtown Los Angeles. Chest 30"-32" 32"-34" 34"-36" 36"-38" 38"-40" 40"-42"
Waist 23½"-26" 29" 29"-31½" 31½"-34½" 34½"-38" 38"-41½"
Hips 33"-35" 36"-38" 39"-41" 41"-42" 42"-44" 44"-46"
Thigh Circumference 19"-20" 21"-22" 23"-24" 25"-26" 26"-27" 27"-28"